Journal of Spices and Aromatic Crops (JOSAC), which is the official publication of Indian Society for Spices, is published twice a year at present during June and December. It is an international journal devoted to the advancement of spices, aromatic and related crops. The journal publishes multidisciplinary reviews, research articles and research notes on all aspects of spices, aromatic and allied crops. The journal has been rated in the highest class in punctuality and quality by the Indian Council of Agricultural Research, New Delhi. 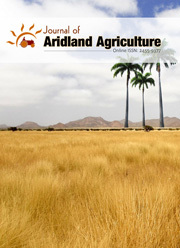 Journal of Scientific Agriculture (JSA) is an international, peer-reviewed, open-access journal, published by the Update Publishing. Journal of Medicinal Botany (JMB) is an international, peer-reviewed, open-access journal, published by the Update Publishing. Innovations in Agriculture (IA) is an international, peer-reviewed, open-access journal, published by the TathQeef Scientific Publishing. The Horticultural Biotechnology Research is a peer-reviewed, open access journal that publishes articles in all the in the fields of Horticultural Biotechnology. The journal welcomes the submission of original manuscripts (Please see Plagiarism Policy) that meet the general criteria of significance and scientific excellence. The journal publishes Review Articles, Regular Articles and Short Communications. For detailed guide for preparation of manuscript please visit Authorâ€™s Guide and for submitting, please sign in the Online Submission page. If the author experiences any difficulties during online submission, contact hbr@scienceflora.org for support. Soon after submission, the article will be screened for plagiarism checking with iThenticate software. The articles those passed theÂ iThenticate screening, will be peer-reviewed with two external peer reviewers. After revision, before final acceptance, the article will be again screened for plagiarism.Â The acceptance criteria for all papers are the quality and originality of the research, its significance to the scientific community and interest to a wide audience. Horticultural Biotechnology ResearchÂ is a bimonthly journalÂ (6 issues per volumeÂ per year), but the articles will be published immediately after proof corrections, means; the articles will be added to the current issues continuously without any delay. This helps the journal in rapid publication of acceptedÂ articles. Manuscripts will be published online as soon as the authors approved the final proof. Therefore, there will not be a delay period for accepted articles to be published online. 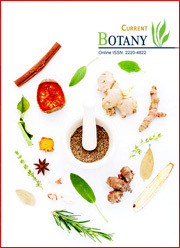 The Journal of Medicinal Herbs and Ethnomedicine is a peer-reviewed, open access journal that publishes articles in all the in the fields of Herbal and Ethnomedicine. The Food Biology is a peer-reviewed, open access journal that publishes articles in all the areas of food science and technology. The International Multidisciplinary Research Journal is a peer-reviewed, open access journal that publishes articles in all the multidisciplinary scientific research fields. The journal welcomes the submission of original manuscripts (Please see Plagiarism Policy) that meet the general criteria of significance and scientific excellence. The journal publishes Review Articles, Regular Articles and Short Communications. For detailed guide for preparation of manuscript please visit Authorâ€™s Guide and for submitting, please sign in the Online Submission page. If the author experiences any difficulties during online submission, contact imrj@scienceflora.org for support. All articles will be peer-reviewed. The acceptance criteria for all papers are the quality and originality of the research, its significance to the scientific community and interest to a wide audience. International Multidisciplinary Research Journal follows Continuous Publishing Model, means; the articles will be added to the volume continuously without any issue barriers. This helps the journal in rapid publication of acceptedÂ articles. Each year contains one volume with unlimited number of articles. International Multidisciplinary Research Journal has been taken over by a new management team (Scienceflora Publishers Pvt. Ltd.) from July 2015 onwards. Some policies have been changed and also the frequency of the journal. Authors who have submitted their articles on old email id or who have submitted online prior to July 2015 are requested to resubmit them for their consideration (if publication charges were not paid) in this journal. Articles submitted/published till 30 June 2015 will not be processed/responded from the present management team and for any query regarding those articles authors are requested to contact the id onto which article has been submitted/through which acceptance has been sent to them.